Had a bad day again? Let's be honest, we all have those days where even the smallest things can get a rise out of us. It's a natural part of being alive, although not a particularly fun one, but we all get mad now and then. Maybe you're a patient person, but everyone has their limits! Something happened today that was the last straw — your boyfriend cheated, they ran out of your brand of deodorant at Target, your manager wronged you again, you spilled your coffee on the way to work. Different things make different people tick and you are fresh out of deep breaths today. However you came to need an angry playlist, we have you covered. Instead of losing your cool at the store or freaking out on a friend and saying something you'll later regret, walk it off to the rhythm of these 25 songs. Put them on repeat and blast them until you're not mad anymore! 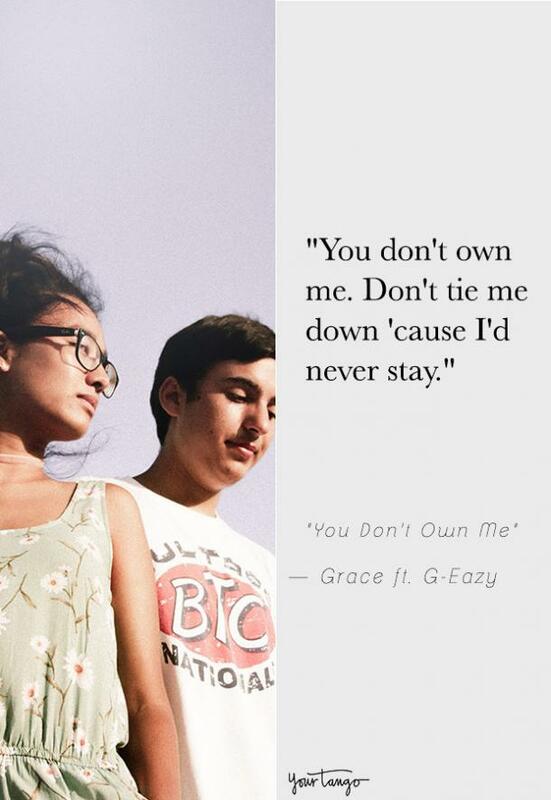 "You don't own me. Don't tie me down 'cause I'd never stay." 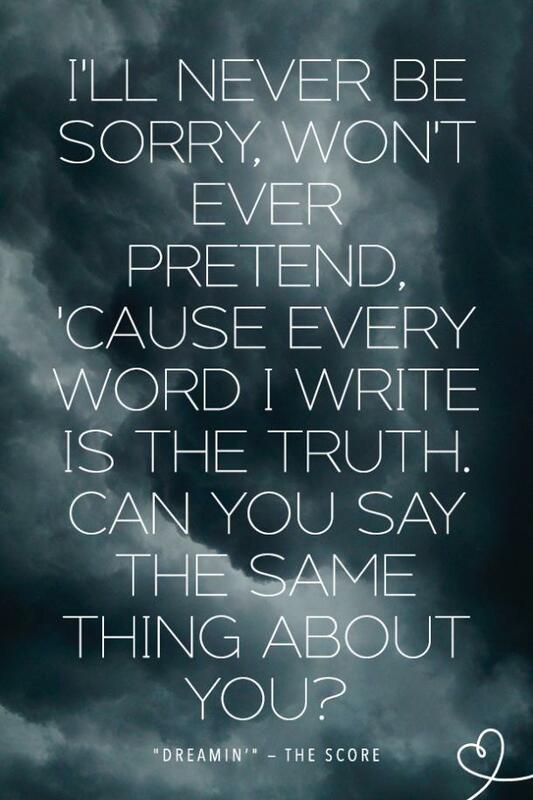 "I'll never be sorry, won't ever pretend, 'Cause every word I write is the truth. Can you say the same thing about you?" 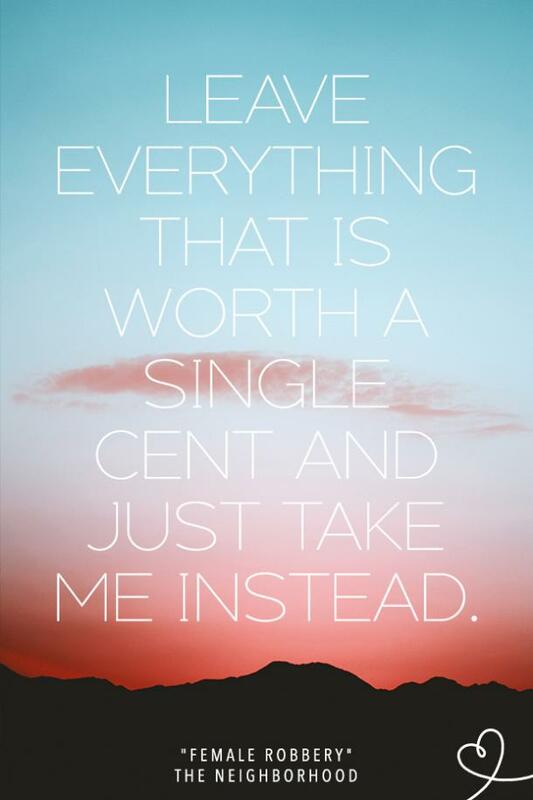 "Leave everything that is worth a single cent and just take me instead." "I'll meet you in the park, I'll be calm and collected. 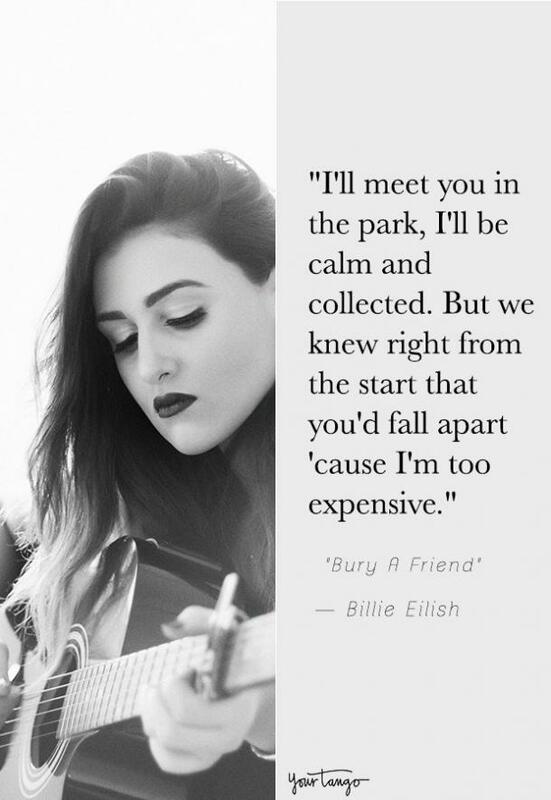 But we knew right from the start that you'd fall apart 'cause I'm too expensive." 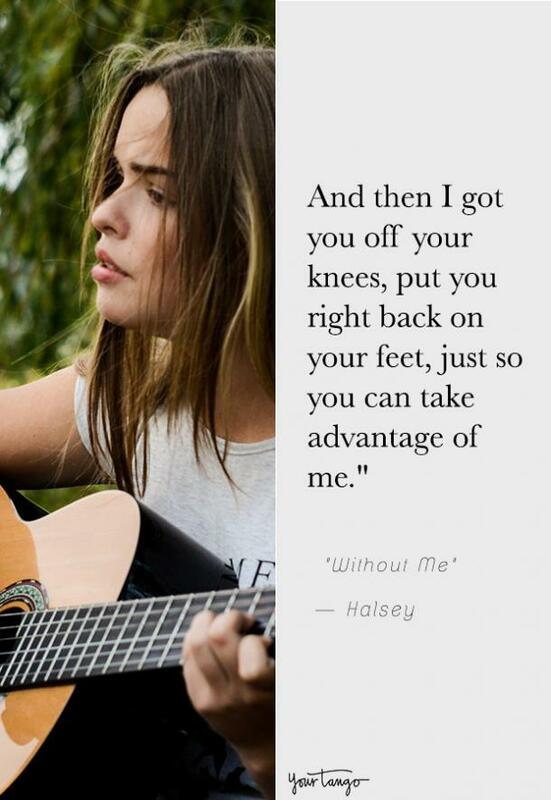 "And then I got you off your knees, put you right back on your feet, just so you can take advantage of me." 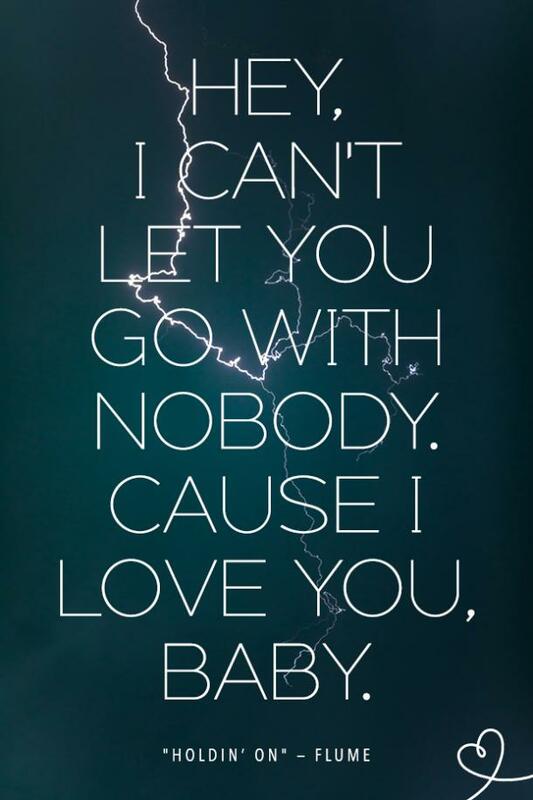 "Hey, I can't let you go with nobody. Cause I love you, baby." 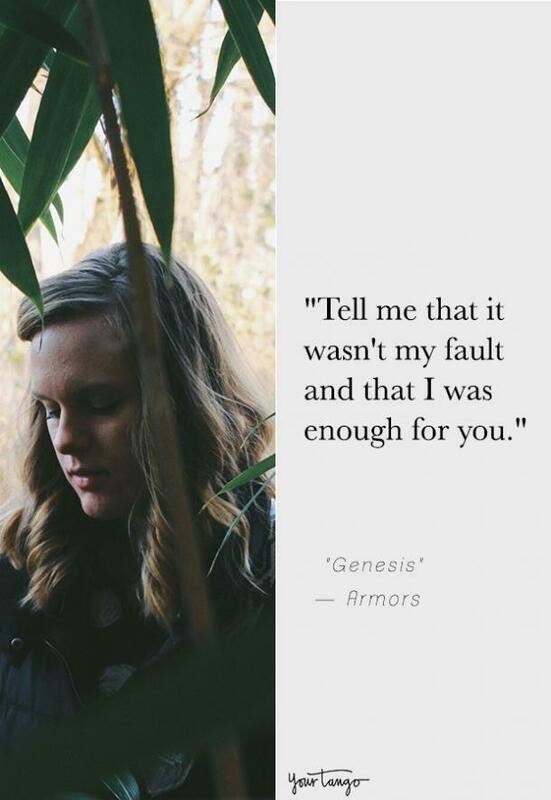 "Tell me that it wasn't my fault and that I was enough for you." 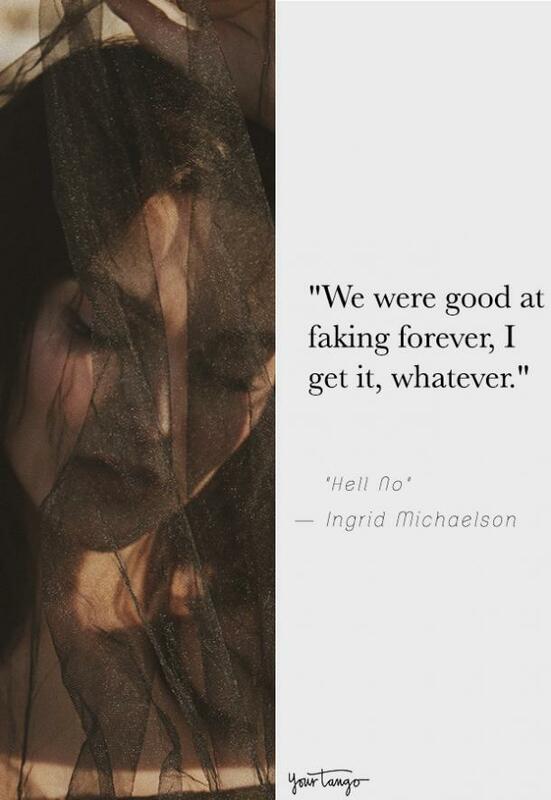 "We were good at faking forever, I get it, whatever." 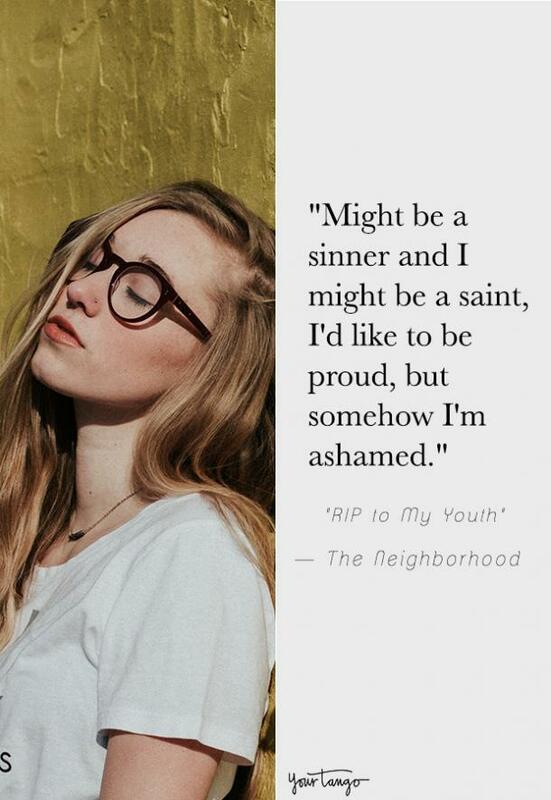 "Might be a sinner and I might be a saint, I'd like to be proud, but somehow I'm ashamed." 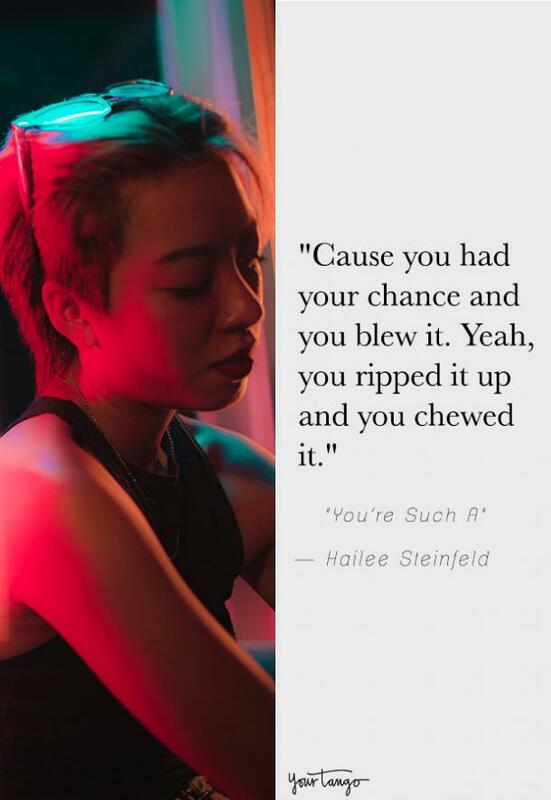 "Cause you had your chance and you blew it. Yeah, you ripped it up and you chewed it." 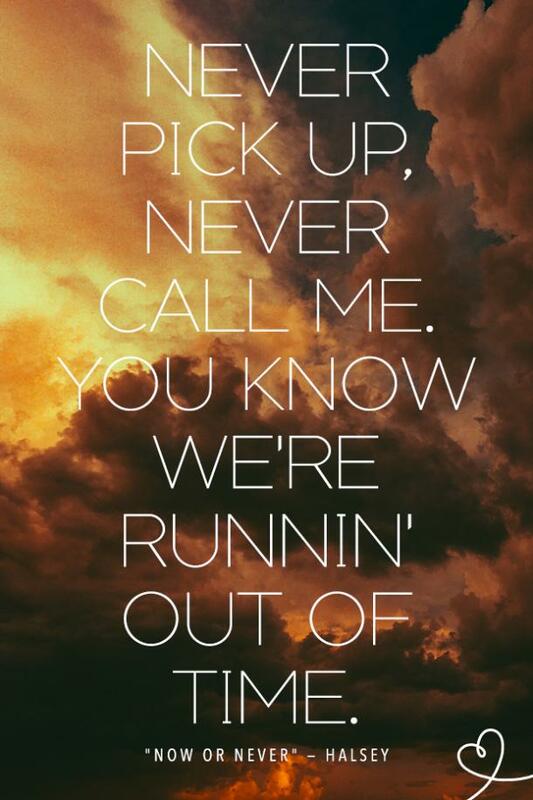 "Never pick up, never call me. You know we're runnin' out of time." 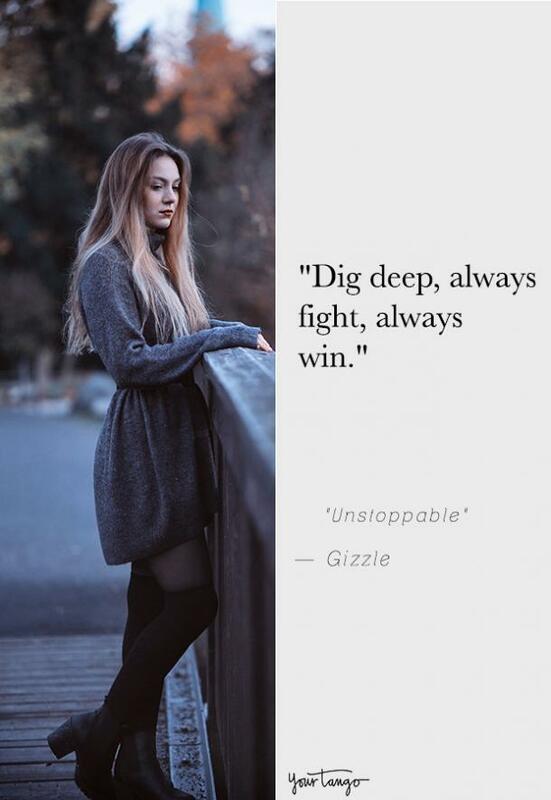 "Dig deep, always fight, always win." 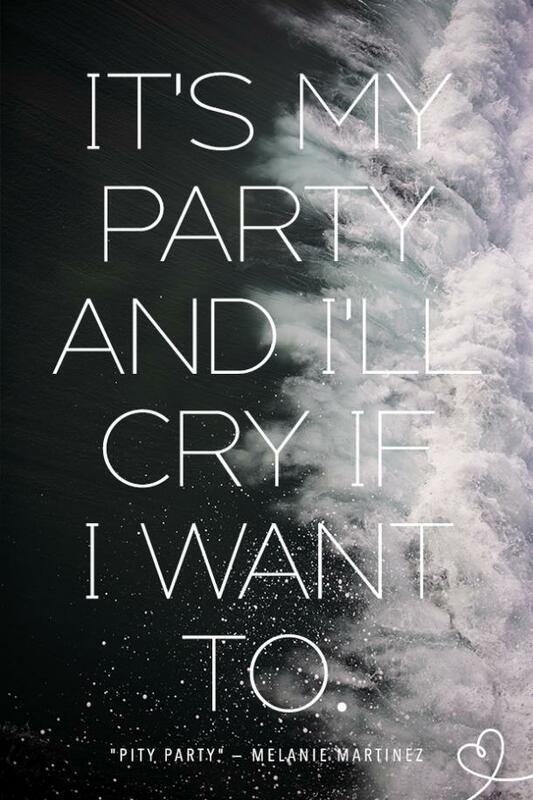 "It's my party and I'll cry if I want to." 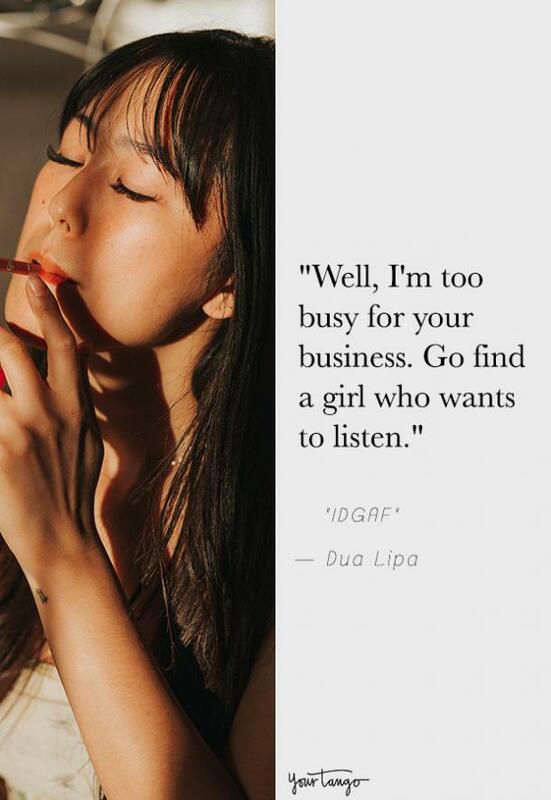 "Well, I'm too busy for your business. Go find a girl who wants to listen." 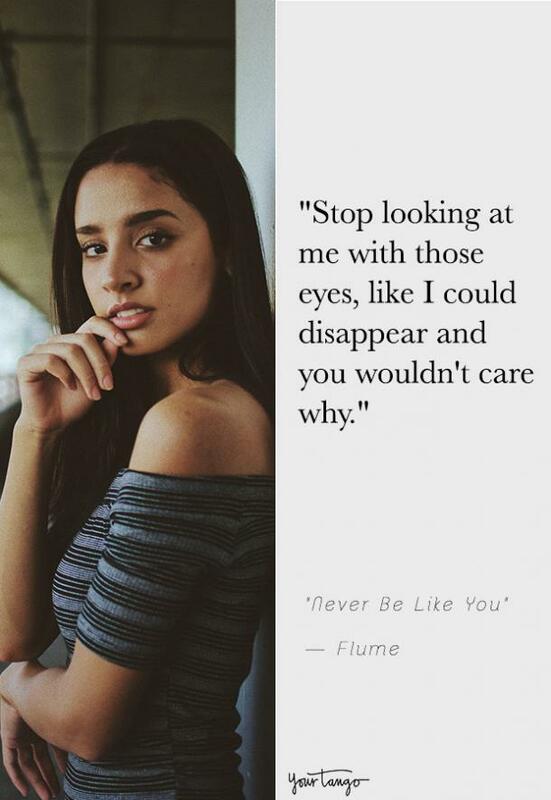 "Stop looking at me with those eyes, like I could disappear and you wouldn't care why." 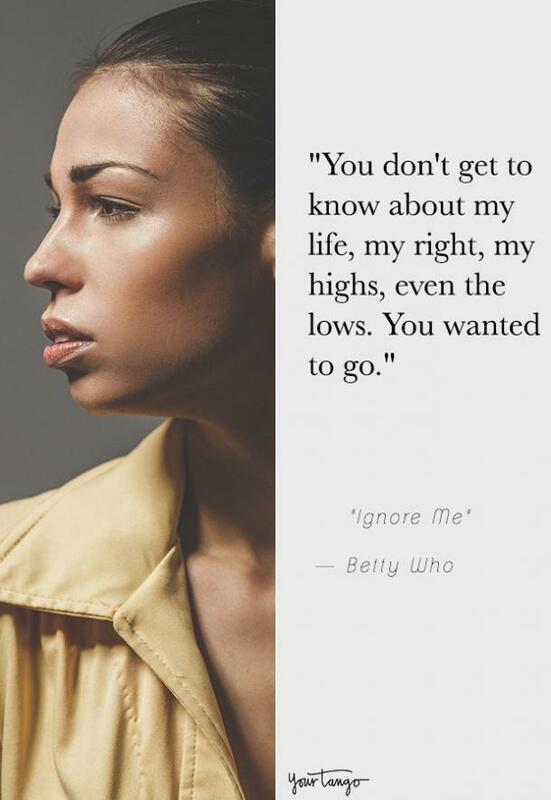 "You don't get to know about my life, my right, my highs, even the lows. You wanted to go." 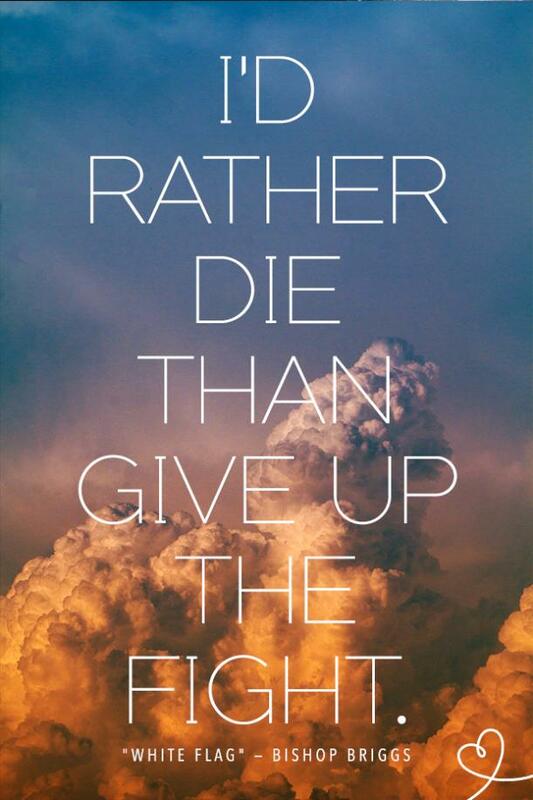 "I'd rather die than give up the fight." 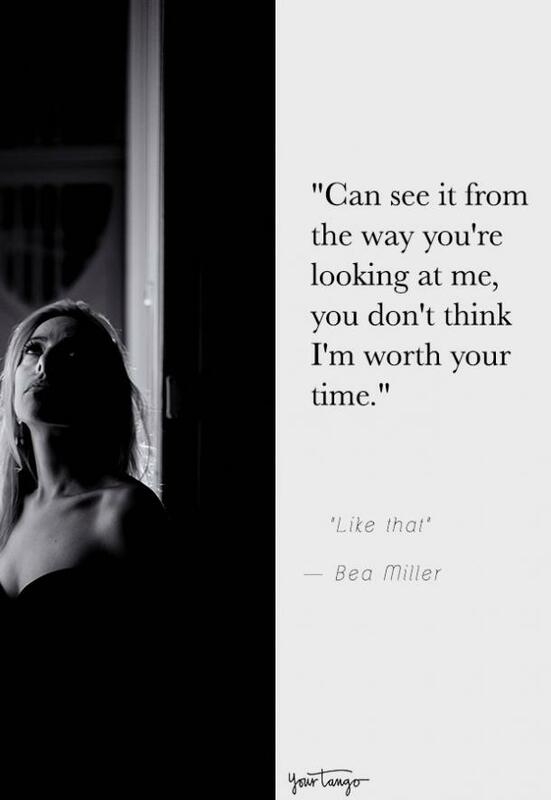 "Can see it from the way you're looking at me, you don't think I'm worth your time." 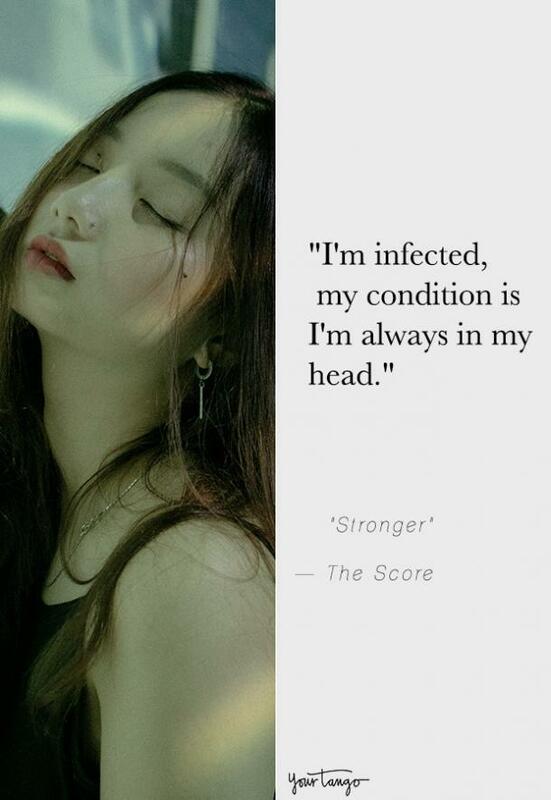 "I'm infected, my condition is I'm always in my head." 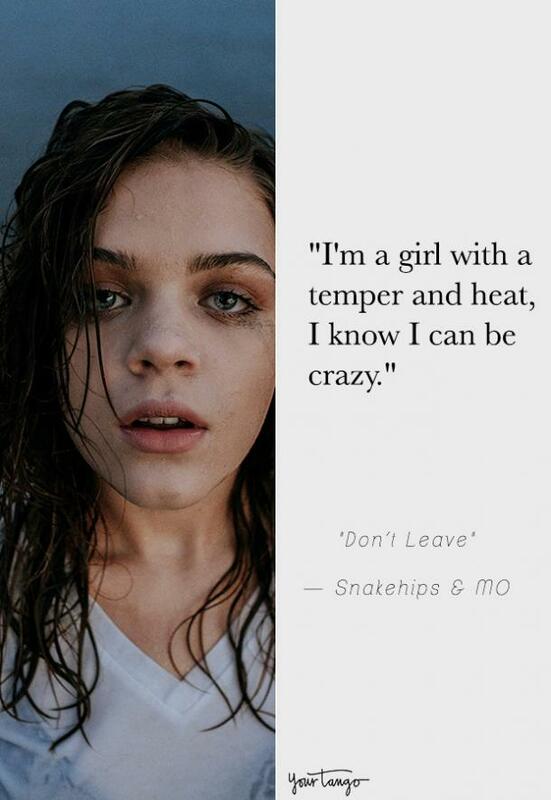 "I'm a girl with a temper and heat, I know I can be crazy." 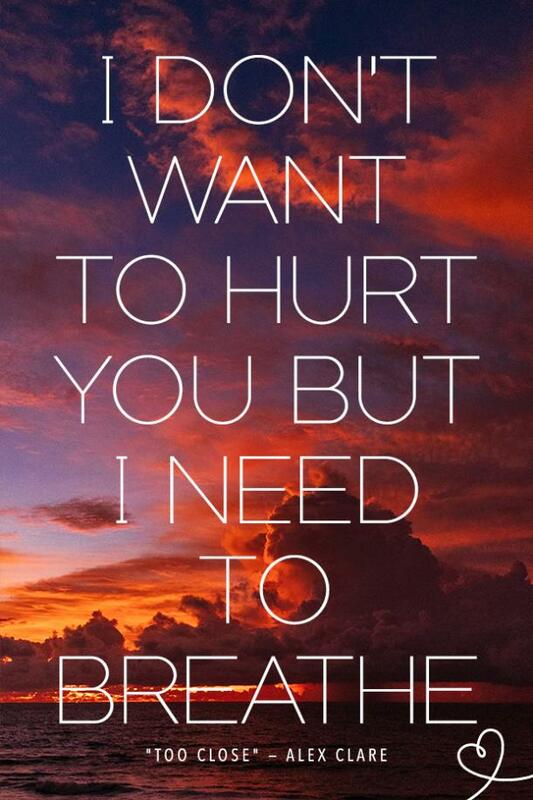 "I don't want to hurt you but I need to breathe." 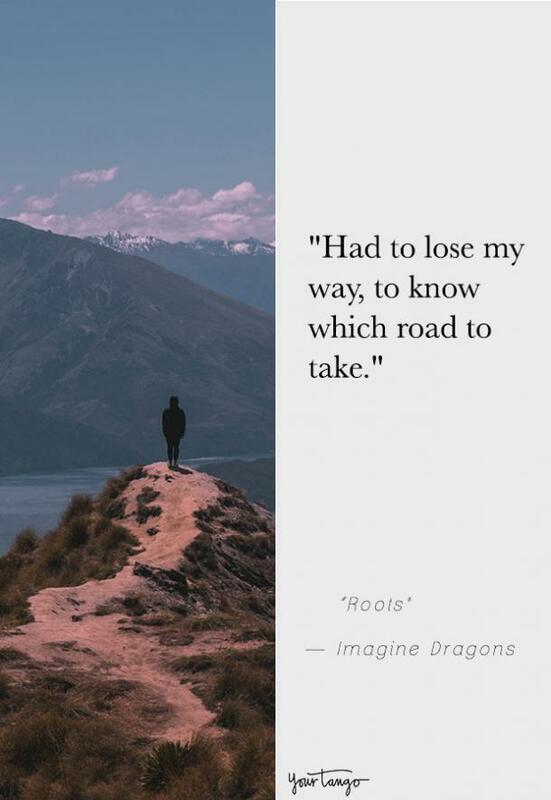 "Had to lose my way, to know which road to take." 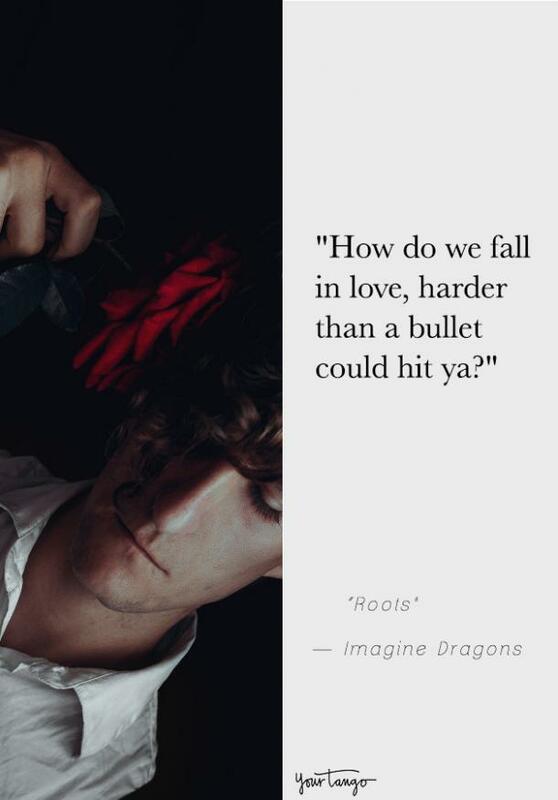 "How do we fall in love, harder than a bullet could hit ya?" 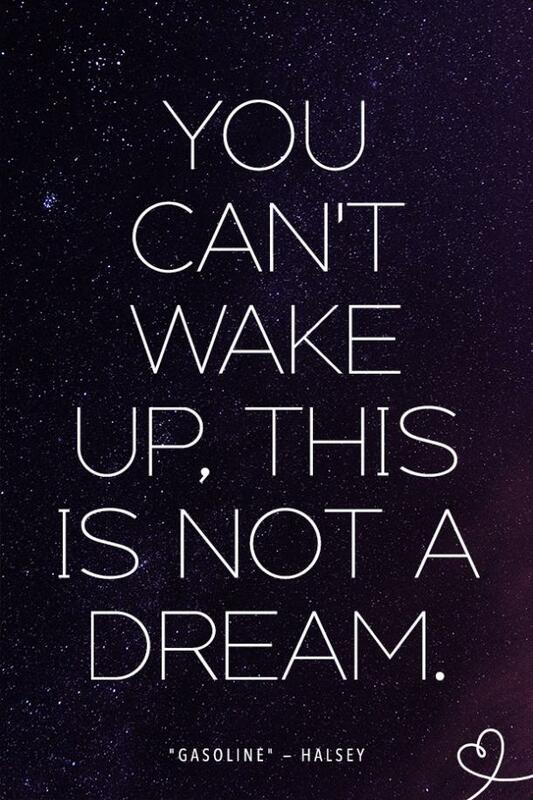 "You can't wake up, this is not a dream." 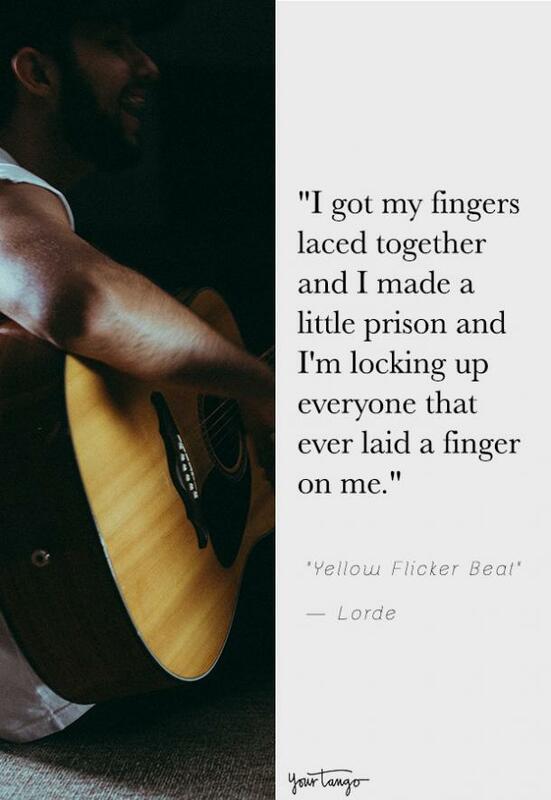 "I got my fingers laced together and I made a little prison and I'm locking up everyone that ever laid a finger on me." Beth El Fattal is a writer who covers astrology, pop culture and relationship topics.